As-salamu alaykum and hello everyone ♡. Aaa I know. Its the end of the holiday. Em.. Oh well, today I want to blog about an event I went recently. Its a birthday celebration to the one and only blogger community, The Butterfly Project 1 year anniversary! Thank you for these wonderful days for the new friends I made and fun activities! Well, *cough* *cough*. We may be a beauty blogger, but hey! We can also play soldiers. Mihahaha. So Tammy decided to celebrate the community birthday with a little "non girly" type of kinda thing something something. 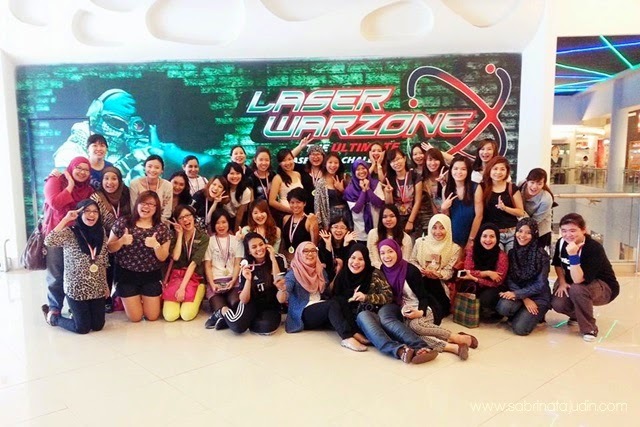 The event were held at The Laser Tag that is located at eCurve. It is my first time playing the laser tag and I am pretty much excited! I heard fun stuff from my little brother as he went and play the laser tag with his friends. I also have not tried Paint Ball. So this might be a good start of the "war" feeling I might gonna experience. After all this only be played with the laser guns that will not harm my body, rather than the hard shoot paint ball can cause to my body. Phew. Before the game start we also ate nasi lemak. Hm.. I smells sabotaging here. So gonna let you see how the environment of the venue and location of the war zone. Above picture is the entrance of the Laser Tag. Here you get to see the vest and the guns that it comes with. Each set of guns has its own name on it. It will be appear in the screen outside of the warzone that you can see after the game is over. You can view your points and team points there. After wearing the vest you may enter the warzone and pick your spot. As you can see below (tilt you scree to see clearly), the war zone is pretty dark and all you can see is the neon lights (Demi Lavato Neon Lights plays on my mind) on the decorations and stuff. The warzone is pretty big but would be nice if its bigger. hehe. There is a lot of hiding spots in there. Although I have a dark phobia, I still can see clearly in there. The lights that is attached on the opponent vest helps me to keep my target. During the event, we were divided into 4 groups of 9. Of course, we are all going to battle for the medals as you can see above. Before the game start the staff from the laser tag gave us a simple instructions on how to play and how to get points. He also tells us that we need to hold the gun properly or you may not get points. No rockets science here, its pretty simple trust me. Aim - shoot - run and scream. Hahaha (that is what I do). Here are the MULANS! My team have so many pretty leng lui here. Haha! After a few games and rounds, we won first (from behind). Haha The champions goes to Laser Fly! Sabby is in the group! You make Sabrina's proud again! Haha! We had fun and sweat of course! Thank you Sandra for the picture! Overall I really recommend you guys who are looking for some cool activities together with your groupies or family. This is really the time you can pour your revenge for maybe your younger brother who love to break your lipsticks or your sister who love to steal your clothes. Just kidding. Below are the rates for the Laser Tag games. Anyway, Thank you so much The Butterfly Malaysia for inviting and credits to you for some of the pictures, I wish you guys to be more and more bigger and successful in the passion you guys have. We may not be able to see much again as I am moving back to my hometown. :( Bye! *Play all day. Play, rest (go shopping / go eat) fell like playing again, come back anytime and battle. 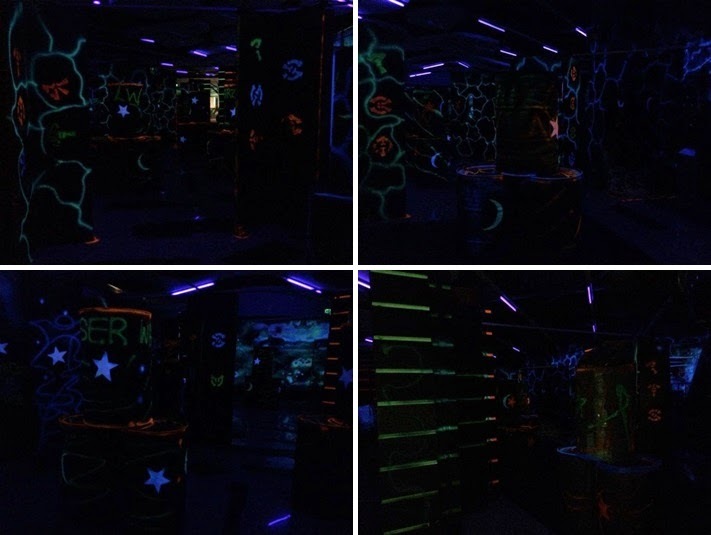 *Contact Laser Tag for more info on the rates. 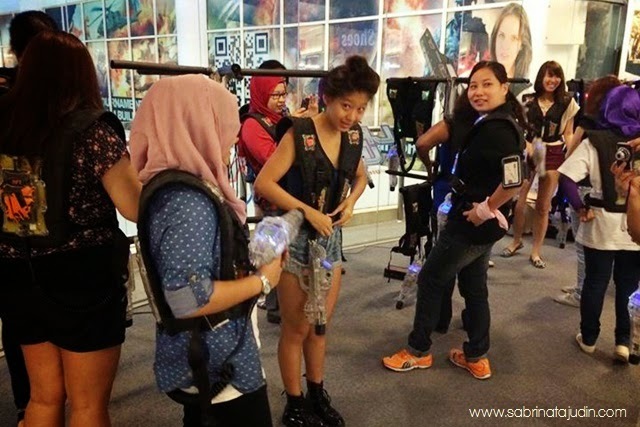 Have you played laser tag? Any cool experience? Haha best kannnn! ya i know.. :( im sure gonna miss a lot of fun after this. i know right.. haha! a bit jakun in there.. hahahaha!